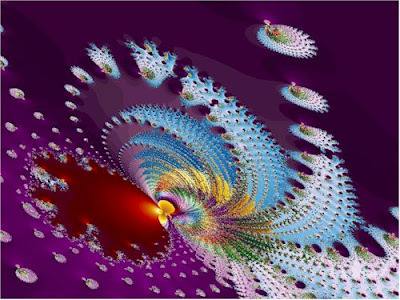 As Above So Below : Fractal Evolution is a video presentation of a lecture by Bruce Lipton recorded live at The Seventh International Conference on Science & Consciousness held in April 2006 all about the consciousness evolution and paradigm shift in progress .... beautifully blending a pristine understanding of Science and Spirituality ! For millennia, civilization has been preoccupied with the perennial question about human origins and life’s purpose. Religion claims that humans are the product of special Creation, put on Earth directly by the hand of God for the purpose of living out plays of morality. The opposing view of Science suggest we are merely the product of three billion years of evolution driven by random genetic mutations, perceived as hereditary accidents. Science posits no purpose for human presence other than to compete for survival in an eternal struggle for existence. We are in need of new sustaining vision as global terror and the onset of the planet’s sixth mass extinction threaten human survival. Join cell biologist Bruce H. Lipton, Ph.D., as he introduces a long awaited paradigm shift in the biomedical sciences that integrates, unifies and honors the philosophical polarities of both Evolutionists and Creationists,. The new theory of “Fractal Evolution,” based upon leading edge cell biology, physics and mathematics, not only makes sense of our history, more importantly, it provides important insights to ensure ours and the environment’s survival. Oneness : Everything is Connected ! Bruce lipton has shared a truth that will help a lot of people, to get out of stagnation and start growing,..
"Your opportunity is to come here, to create what you thought you would create in heaven."